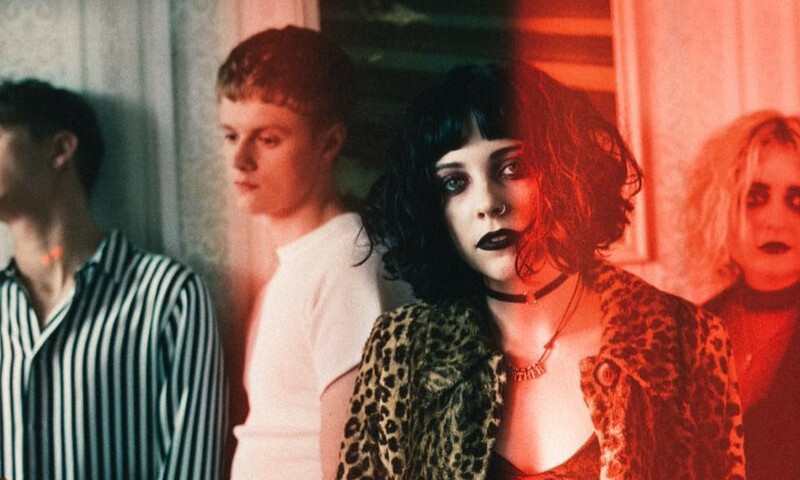 Our Rising Artist of the Week, Pale Waves, has released their first EP, ALL THE THINGS YOU SAID, after a series of successful singles. They took time to speak with TIDAL about their rapid ascent, the story of their music and honesty. What are the band’s origins and how was it known what sound the band would pursue? We formed in Manchester and our sound developed, as we grew as a band. We didn’t initially have any idea of how we wanted to sound, however over the course of two years, we really found ourselves. How did you decide which demos were the correct ones to use for the EP? It was fairly easy to figure out what tracks should be on the EP. We really wanted to bring back “Heavenly” and “The Tide” for this EP, as they have always been huge fan favourites and just made sense to have them out before the album. Why is Dirty Hit such a good for the band? Dirty Hit are an amazing label, especially for our band. They allow for such creative control and support us with our biggest ambitions. They offer honest opinions, therefore I really trust their judgment and so far I think we’ve done the best we could have, in regards to the decisions we’ve made. With a lot of the group’s music hinging on romantic subject manner, how do you know how you want to address love as it relates to a darker tone? I address all my songs in the most honest way I could – so just being brutally honest! Has hitting the road hard and with a band like The 1975 taught you anything professionally and personally? How is the music crafted in the band? Lyrics first, melody first, music first, etc.? It’s a variation. We have no set rules in regards to how we write. A lot of our songs have started in all kinds of ways, so we really have no structure with writing, which I think is a positive and keeps things fresh. Could you go through each song on the EP and kind of explain the origins of the music’s lyrics and how the music came to life to support the lyrics? “New Year’s Eve” was based on a night I had on NYE. I wrote the song a year later, as I still hadn’t got over that night. Ciara wrote the majority of the music within a day, believe it or not. When we brought everything together, it just really clicked. “My Obsession” is a song close to my heart, which was written around two years ago. It’s influenced by somebody who was in great need of my love and support at a difficult time of theirs. It’s also heavily influenced by my grandparents’ relationship. “The Tide” is the first song we ever wrote as Pale Waves when we were 18. “Heavenly” is another older song and fan favourite. The song is rather naive and playful. lyrically. I think it’s perfectly represented through the music. What have you learned to this point about artistry and how that relates to you as people? That you just have to be honest in all the art you create, there’s no where to hide and that’s the beauty of it. Songwriting has helped me as a person, because it’s taught me to be more open with people. Honesty is wonderful!